1. Can you briefly tell us about yourself and your motivation to start this company? I love traveling and visiting new places and sometimes it can become very challenging when you are new to the culture and language. After living in Korea for a few years and falling in love with Seoul, it made sense to me to create a technology-based service that could help foreigners living in Korea. While it’s a great place to be, it’s not always easy to reach for the lifestyle conveniences that locals enjoy. I mean you can survive in Seoul easily, but to truly experience it to its fullest, a little help is necessary. For us, the goal was to create a service that was scalable and could become global over time. Despite the multitude of technologies that are available to us like Google Translate, cultural differences are a lot harder to overcome. Ask Ajumma serves as that cultural bridge that closes the gap between foreigners and Korea. It’s an interesting thing to be a foreigner and honestly, I guess I’ve always been a foreigner. I’m originally from the US and grew up in San Francisco, California. As an Asian-American, my parents were immigrants and so were many of the friends I grew up with. Where I come from, there’s a melting pot of people who are Chinese, Japanese, Mexican, Indian, Cambodian, Filipino, German, Irish, and all the other colors of the rainbow. Mixing and matching cultures has always fascinated me so being able to help a diversity of foreigners in Korea is really an awesome experience. 2. Why did you choose to name your business “Ask Ajumma”? Ajummas are the backbone of this country. They are the mothers, aunties and grandmothers that worked hard behind the scenes to support the economic revolution that made Korea the miracle it is today. They were the ones that got stuff done without much glory. At Ask Ajumma, we channel that spirit of hard work and determination to help people get things done. We also infuse modern day technology into our service which mirrors what Seoul looks like today. If you explore the city, you’ll notice the old and new colliding into a fusion of culture that represents the efforts of those before and the innovation of the next generation. As a brand dedicated to helping foreigners visiting Korea, our name is easy to remember. Ajumma is probably one of the first words anyone learns in the Korean language. It’s easy to pronounce and it’s a word you’ll hear quite frequently in conversations or even in passing to denote an older lady that’s a bit rough around the edges. But really, it’s not nice to say mean things about moms… so next time you see an ajumma on the subway, please share your seat because she probably earned it. 3. What was one of the most significant challenges you faced after starting Ask Ajumma? Wow, there were so many! For one, if you don’t speak the language and you’re not Korean it’s a real struggle to start a business. Also, all the cards are stacked against you and its kind of a dog-eat-dog environment. One of the biggest challenges I faced was trying to get accustomed to the business culture. I’d like to think I’m a positive person and I’m all about collaboration, transparency and community building. So when I talk to people I try to be an open book and I’m always hoping to find like minded people who want to work together but it’s hard to be this person when it seems most people are just trying get information to start their own thing. It’s not hard to realize after a while that some individuals are all about take-take relationships. I get that it’s a competitive culture but to me the only way any of us is going to succeed is for us to work together and build trust. Even now I try to go into every new relationship with trust but it’s tough when the other person is already guarded and suspicious because they’ve been burned so many times by other people. Ask Ajumma is a service that is built on integrity, partnerships and community building. We hope to continue to foster this culture and make it stronger in time. 4. Can you explain the whole process of how your business operates, starting from getting the customers’ orders and receiving the payments? We’re all about the customer experience and simplicity is important to us. With no app to download, it starts with sending us a message on your favorite chat platform. We’re on both Kakao and Facebook messenger and soon we’ll be on a few other services. Here’s how it goes: Tell us what you need, we help you get it and it’s delivered. Yes, it’s that easy. Payment is seamless after you make an account with us, which takes 2 minutes. We are a virtual personal assistant service so our goal is to help make your life easier. Our customers don’t worry about tricky payment systems or having to coordinate with language challenges. The best part is that they get to save time so they can do something fun instead. That’s the luxury of having a personal assistant. Behind the scenes, our agents take these requests and make magic happen with the help of our backend platform that we’ve built in-house. Our small team manages a big customer load with some input from smart automation. We’ve got a long way to go to perfect our chat-bot technology but I think we’re off to a great start. For now anyways, you are still talking to live agents – so please be nice to them. 5. Which platforms do your customers normally utilize to reach you? Customers can contact us through Facebook Messenger, Kakao or E-mail. We’re looking into integrating other third-party chat apps into our backend system and also developing our own. We’ve held back our own chat app for a while because we really like the idea that people don’t need to download anything to get to us. At some point though, our automation system may be able to provide a better experience for our customers. When that time comes, we’ll make a big launch. 6. Is it safe to say that Ask Ajumma is the only virtual concierge provider in Korea? I wouldn’t say that. There are other individuals that are doing something similar but they seem to be freelancing at it. I’m pretty certain they aren’t working on tech solutions like we are either. To be completely honest, this is an extremely challenging line of work and if anyone tells you otherwise, don’t believe them. Customer service eats people alive and it’s not easy to please everyone especially since we can’t vouch for every service or product that is offered. We help people coordinate stuff, but then we depend on the professionalism of the actual service provider. Also because we don’t charge until someone is happy with what we find, time is precious to us. Some customers don’t realize that but regardless we are always cheerfully willing to help. We love what we do and our vision is something a bit greater. We’re working towards a platform to make this kind of service available any place where there are foreigners. I’d like to think we are contributing towards global citizenry. 7. Right now do you have foreign and Korean employees working together? Could you describe the corporate culture of Ask Ajumma? At the moment our team is a mix of Koreans and foreigners. It’s really important for us to connect with our customers and understand them well. You can’t serve a customer if you don’t know where they are coming from. Having foreigners and kyopos (Koreans raised overseas) on our team is essential. It’s also important for us to have Koreans on our team because we have to effectively negotiate with local businesses on behalf of our customers. In terms of our corporate culture, Ask Ajumma is a very special place. We focus on creativity, teamwork and communication. Also, I think it’s important to instill in our team that anything and everything is possible. We don’t like to say “no”. In order to get each reply to a “yes”, we empower our team to take the initiative to make decisions and be resourceful. Our agents are all bilingual and some trilingual. They are highly educated and committed to finding solutions for the most complicated requests, this is not your average call center. 8. 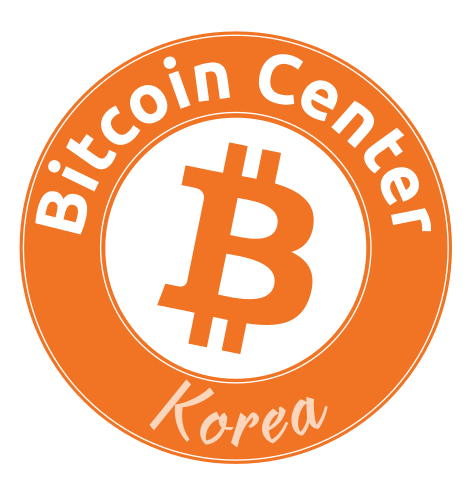 Are there any future plans to include cryptocurrencies as a payment method at Ask Ajumma? Yes, it has been a part of our project for a while now. There may be people who would like to use Bitcoin as a payment method, so we would like to try and accept it soon. If we decide to include it, our payment processor does allow for crypto currency inclusion. Bitcoin is definitely making its mark these days and it’s pretty exciting to watch it grow. 9. Are the demands from customers somewhat consistent? What are some of the most common requests? The requests vary every day, and they often depend on the type of customer that is submitting them. For instance, tourists visiting Korea often request entertainment and tourist packages. However, for expats living in Korea, the requests are all across the board and are often times seasonal. During the summer we get a lot of queries concerning vacation packages, concert tickets, and air conditioner repairs, and during the winter, Christmas gift requests and heater repairs are more common. Our favorite requests are the ones that are a bit more unique. We love when people want to send gifts or plan surprise events. We recently published an article with our top most romantic requests we’ve coordinated and some are over-the-top amazing. We’re talking about helicopter tours, private yachts, flowers, luxury racing vehicles, fancy dinner reservations and renting out private theaters. Our clients are pretty all balls out cool when it comes to extravagance sometimes.